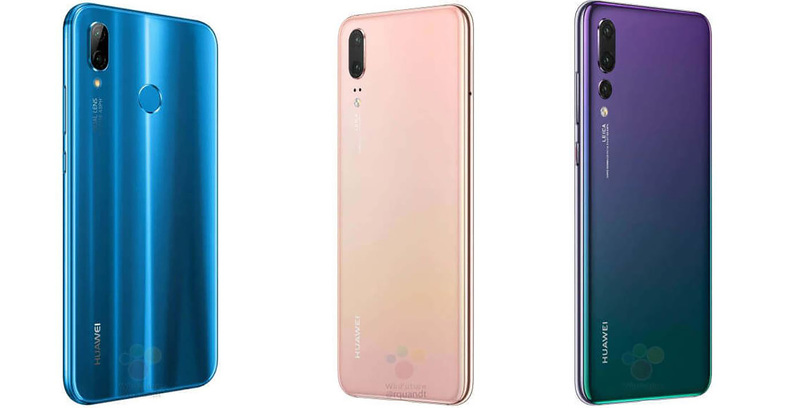 It looks like the Huawei P series smartphones will come in a variety of very pretty colours. Images revealed by leaker Evan Blass, Roland Quandt and German website Winfuture off all the colours that the Huawei P20, P20 Lite and P20 Pro will be available in. First, let’s take a look at the Huawei P2o Pro in its “Twilight” colour scheme. The device will come in a violet-blue gradient. Starting off violet at the top then it transitions into a blue and finally a turquoise colour. The P20 Pro will also come in black and blue. While the Huawei P20 Pro will come in Twilight, the Huawei P20 will come in a pink-gold colour. The colour seems to start off in a strong hot pink but then transitions into almost a rose gold colour. The Huawei P20 also comes in black and in blue. Lastly, the Huawei P20 Lite doesn’t have any fancy colours, however, its blue kind of looks like it’s a glossy metallic colour. It also comes in black and pink. Huawei will unveil its P20 series on March 27th in Paris, France.